Last night's bloody terrorist attacks in Paris should send alarm bells ringing all across the county. It's time for action. Generations of Americans have been taught that state and nation mean the same thing. They do not. A state is a self-governing political entity. A nation is a tightly-knit group of people that share a common culture. The American people have been deceived into believing that their political state (the United States) was under attack when, in fact, it is the nation's culture and Western Civilization itself that is being systematically destroyed. The main problem with immigration for the United States is not economic although politicians in both parties want desperately to make that the only focus. It is not even that illegal immigrants have broken the law. No, the problem is far more serious. Immigration degrades and ultimately destroys our native culture and replaces it with immigrant culture. If immigration is left unchecked, the United States will become a third world country before the decade is out! While it is true that the American nation was founded by European immigrants, our immigration policy was not driven by an infatuation with "diversity". Post-revolution immigration to the United States took place from in four great waves (1790 to 1820, 1820 to 1860, 1880 to 1914, and 1965 to present). These waves are definable by the nationalities of immigrants and their reasons for immigrating. The 1880 to 1914 immigration wave did include immigrants from China, Japan, and other Asian countries, but until 1965 the majority of immigrants to the United States were of European origin. By the way, despite the rabid posturing of pro-immigration politicians in both parties, the illegal immigrant problem can be solved quite easily without forcibly rounding people up and driving them back across the border. All that is necessary is that the U.S. government stop subsidizing the invasion. What does this mean? No federal or state benefits of any kind for anyone in the country illegally. That includes school and "health care". No employment for anyone in the country illegally and jail time for any employer who knowingly hires illegal immigrants. No "sanctuary cities" and jail time for any local government that knowingly impedes deportation efforts. Once the gravy-train shuts down, millions of illegals will deport themselves. From 1790 to 1964, America's immigration policy reflected an understanding of the need to preserve the nation's majority-based culture. For the most part, immigrants coming over prior to 1965 came seeking political freedom and economic opportunity. They wanted to be assimilated into the American culture and become "Americans". Then came Lyndon Johnson's 1964 "war on poverty" with its generous welfare state benefits and the nearly simultaneous enactment of The Immigration and Nationality Act of 1965, the 50th anniversary of which we "celebrate" this year. The old immigration quota system, based on national origin, was abolished and replaced with a new immigration policy based on political correctness. The Globalists are intent on achieving the total destruction of all nations, correctly seeing them as competitors for people's loyalty. When they achieve the effective destruction of nations in a region, they move to consolidate their power by establishing a "super state". The European Union serves as their structural template, the next step toward the establishment of a One World Government under Globalist control. As this is written, all of Europe is imploding, collapsing under the weight of a massive wave of anti-Western immigrants. 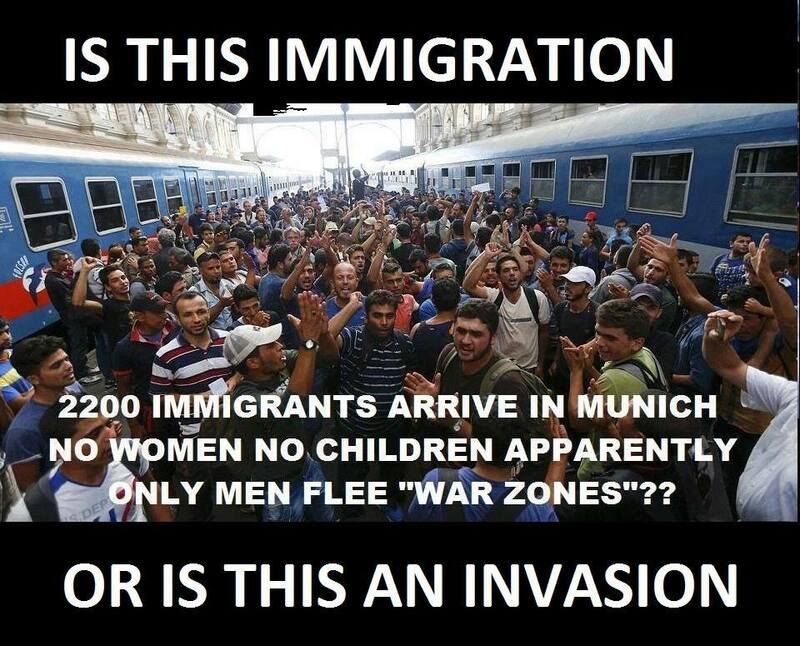 Millions are fleeing Globalist-spawned violence in their homelands. From 1790 to 1964, America's immigration policy reflected an understanding of the need to preserve the nation's majority-based culture. Immigrants coming over prior to 1965 came seeking political freedom and economic opportunity. They wanted to be assimilated into the American culture and become "Americans". Then came Lyndon Johnson's 1964 "war on poverty" with its generous welfare state benefits and the nearly simultaneous enactment of The Immigration and Nationality Act of 1965, the 50th anniversary of which we "celebrate" this year. The old immigration quota system, based on national origin, was abolished and replaced with a new immigration policy based on political correctness and driven by a desire to provide access to taxpayer funded benefits. The Globalist's war on the American nation was underway.